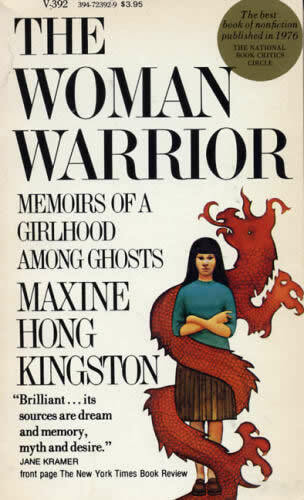 In her award-winning book The Woman Warrior, Maxine Hong Kingston created an entirely new form—an exhilarating blend of autobiography and mythology, of world and self, of hot rage and cool analysis. First published in 1976, it has become a classic in its innovative portrayal of multiple and intersecting identities—immigrant, female, Chinese, American. As a girl, Kingston lives in two confounding worlds: the California to which her parents have immigrated and the China of her mother’s “talk stories.” The fierce and wily women warriors of her mother’s tales clash jarringly with the harsh reality of female oppression out of which they come. Kingston’s sense of self emerges in the mystifying gaps in these stories, which she learns to fill with stories of her own. A warrior of words, she forges fractured myths and memories into an incandescent whole, achieving a new understanding of her family’s past and her own present. "A remarkable book...As an account of growing up female and Chinese-Americanit is anti-nostalgic; it burns the fat right out of the mind. As a dream of the female avenger it is dizzying, elemental, a poem turned into a sword." "Intense, fierce and disturbing... a strange, sometimes savagely terrifying and, in the literal sense, wonderful story." "A book of fierce clarity and originality."